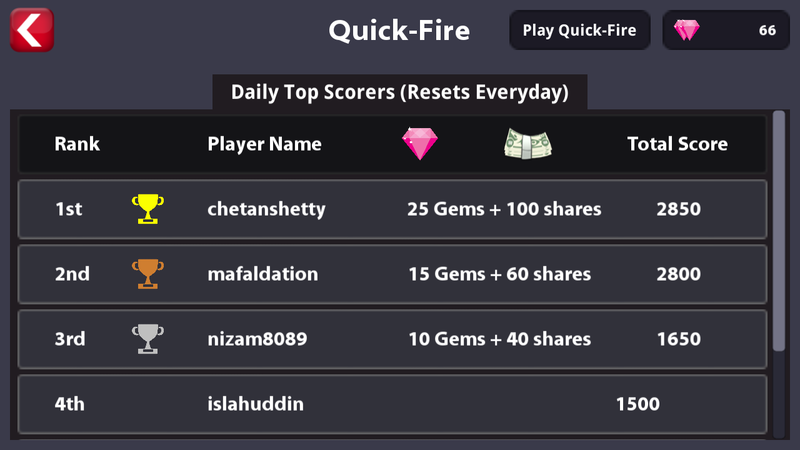 I am in love with the Quick-Fire mode that you invented in this latest game update @princewahaj. And quite honestly to everyone, this game is much better than @steemmonsters and @drugwars. If you just look at the number of features and the length of post it took to explain, you'd know that this is the real game that can give you unlimited fun. I was one of the beta testers for this game a year ago and all I can say is that @princewahaj is the man of his words and his works. If you'd go and delegate to his project @super8ballclub, you'd not only be helping him but also getting incentive for that. And for players, the game only requires one-time account fee of 3 STEEM which is nothing in comparison of what other games charge. Now you don't even have to wait for the opponent because of the new Quick-Fire mode that he invented. Honestly speaking, this is one of the most undervalued project on this blockchain. I'd urge everyone to support the project in any way you can and play the game. He deserves it. Thank you for everything you've done for this community. I'm not really active on Steemit due to some issues and was just lurking around without logging in, but this announcement post and the game update made me login and post this comment for you. Wishing you all the best, bro. Self upvoting just for visibility"
Thank you so much for your compliments. 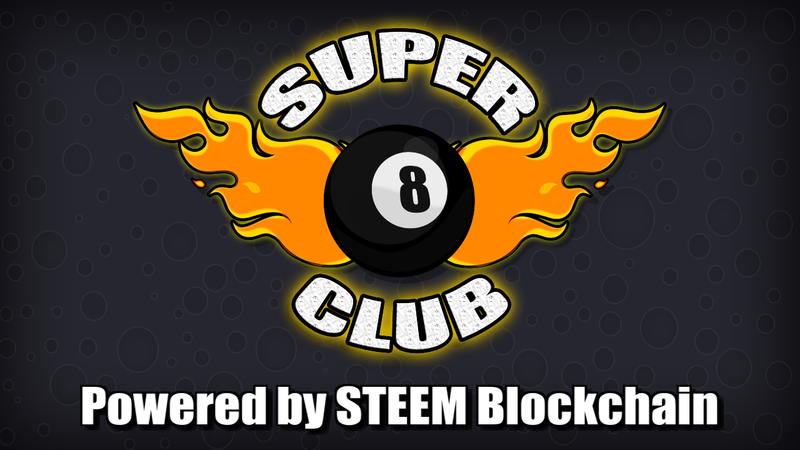 I hope some STEEM whales delegate enough SP to @super8ballclub as I believe it will attract even more steemians to join and also encourage us to develop even more exciting features. Can I play your games on my android hawai honor 5A? my phone ram 2 gb, rom 16 gb. Sure, you can. It works on Android 4.1 and higher. Lastima que en latam no hay nadie jugando,solo encontre una partida y el jugador contrario se fue. I'm so much glad to see you here. Just verified your account. 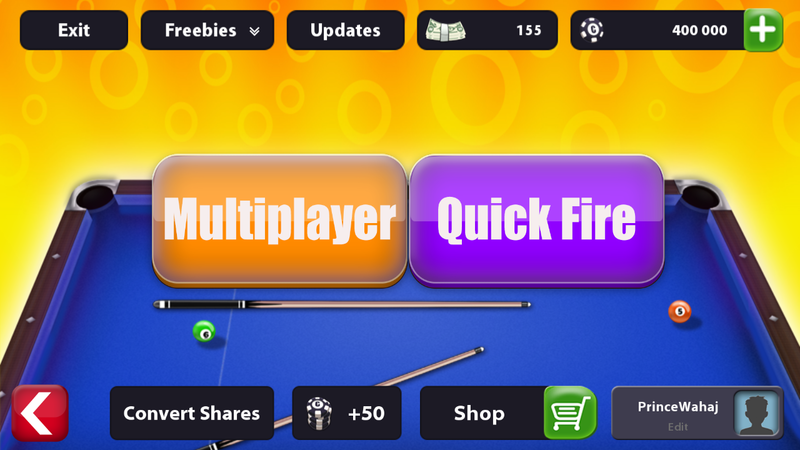 Also try out the Quick-Fire mode, it will make your day. 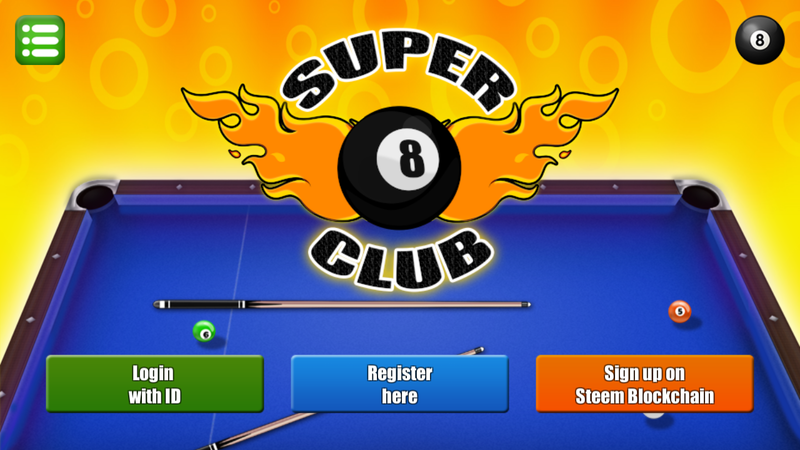 Welcome to Super 8 Ball Club community! It was an epic long post. But definitely worth the reading and I can imagine the time and effort of making this especially the super 8 ball club game. It is exciting to see this update after all this days, you have also brought a lot of improvement on new features in this blockchain by bringing this game. I have done re-downloading the game once again to see for myself what we have for now. As I am reading this post I can see it will bring more users into this space. Cheers for awesome development. as i am a member of this community, i am so glad to see this announcement. i have already joined this game since @PrinceWahaj publish this game on steem blockchain. i think this game is very interesting. you can earn steem or sbd by playing pool. For everyone on steem blockchain, let's join us and get paid. We see you have a referral system we'll look at adding it to our list for Port tokens! I agree with what @steemist said that it is one of the most undervalued projects on steem blockchain. Maybe that's because of the fact that no big players of steem backed this game while the popular games on steem are backed by some big names. I wouldn't say that other games are worthless but @super8ballclub deserves some attention as well. It has been more than a year now and @princewahaj has been working tirelessly each and every day in a hope to get some delegations but it is really sad to see that @super8ballclub has just a few delegators with very little sp. The new update is a killer especially the quick fire mode where you don't need to wait for an opponent. I hope that this new update catches some attention. Great upgrade overall; the quickfire option is great, finally a solo mode! Now the bad part: the blocked rooms. One of the big difficulties for me, and the main reason I was rarely playing, was the difficulty in finding opponents. Now, winning 25 GAMES to be able to progress to the next room is a complete turn off. And, If i'm seeing correctly, the number of wins resets every day! I had 1 win in London, and today the count is back to zero. So if this means I need to win 25 games in 1 day to be able to unblock the next rooms, I really don't see myself playing this. I struggled to play 2-3 matches, let alone win 25; and I'mn not even considering the insane amount of mandatory game time needed to do it. Please, let me know if I'm mistaken; but if I'm not, I would suggest revamping some of these issues. Other players won't be able to wrong you just because they are rich and can play big tables. 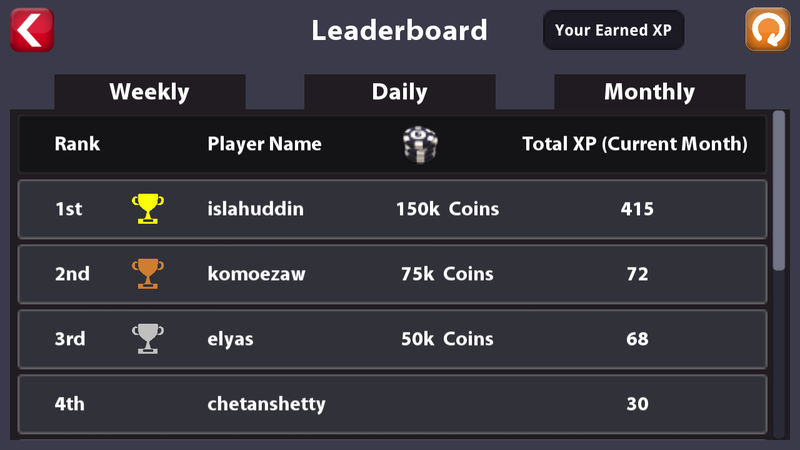 Let's say Pardinus has 100,000 coins and can play Las Vegas but PrinceWahaj has 1,000,000 coins and he can play Jakarta and other big tables easily. One win in Jakarta brings 1,000 shares while one win in Las Vegas brings 200 shares. Pardinus spent 2 hours for finding an opponent in Las Vegas but PrinceWahaj played only 1 match in Jakarta, spent like 10 minutes and earned over 70% of the reward pool. In order to remove this unfair advantage over small players, it was necessary to lock the big tables. 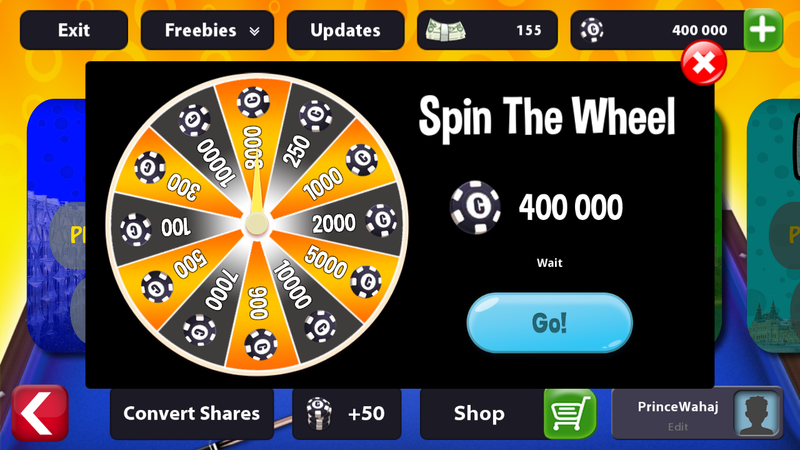 Now comes the important part, currently 1 share is equal to 100 or 200 shares which you'd earn without table unlock because not only you but all players are blocked from earning the high number of shares. The number of shares request will drop and will come in the average of 100-500 shares per day, so your reward percentage is expected to increase a lot more if you play more matches in London. Now comes the second point. It was quite difficult to find the opponent. 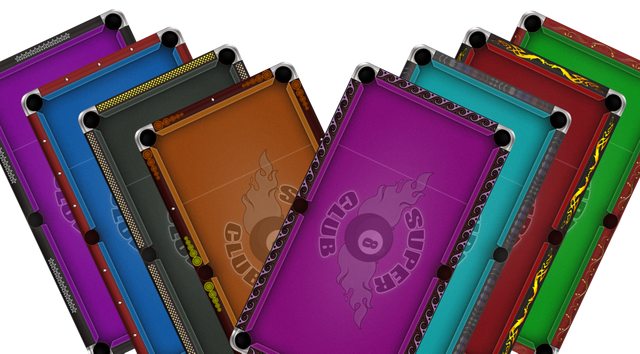 8 tables mean players can search anywhere they like which increase the difficulty of finding an opponent. If only 1 table is open and everyone is searching in only 1 table, it is very likely that you'll get someone. Take the example of today, there were many matches played in London, not only by existing players but also by new players. As far as I can guess, it is because of the table unlocking system. The third reason is quite simple and understandable. Before table unlocking system, not many people were playing London and Sydney in which people can use the aim-line and it was affecting the value of these cues. Now that players must play in London and Sydney, they can use their expensive cues and take advantage of it. New players won't find any opponents in London and Sydney without table unlocking feature, and they will probably leave with disappointment. These were my opinions based on which I decided to implement this system. As you said, it is indeed difficult to achieve 25 wins against 25 people in a day, and that's exactly the point of this feature. 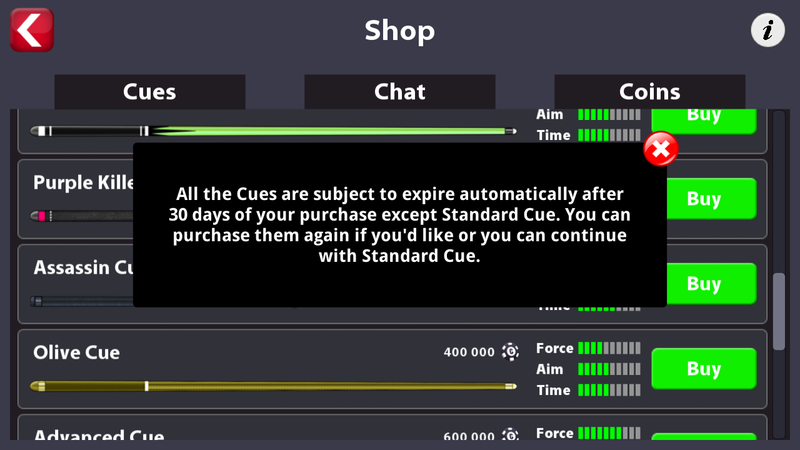 But when the activity increase and enough players become active, we can think about reducing the required number of unique wins. In the end, we can always change the things if they don't work out properly. After reading all this, does it make sense? What would you suggest? Keeping it as is, reducing the required number of wins or completely removing the table unlocking system? I love this new update 👌 I would never think of something like!! Congrats! I have been playing this game since the start and think that it has massive potential among our users. The game play and graphics are top quality and all it really needs to be successful are more people using it. The new quick fire node seems like a great addition to the game and should add a new dimension to play. I fully recommend people to try it out. Great to have you back, @niallon11. From what I can see in the stats, Quick-Fire was the most played mode in the last 24 hours, and hopefully, that means it's a great start! I used to love the game in the beginning but lost a bit of interest when it was updated and aiming was removed from some of the tables. After that it just wasn't as fun for me. 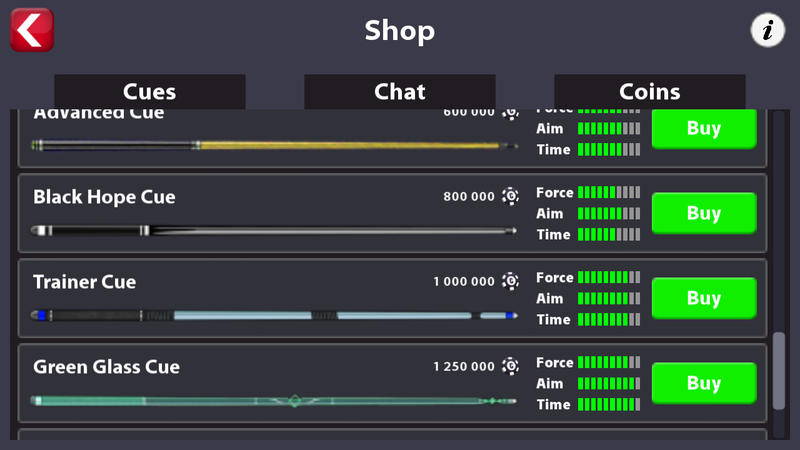 Hopefully the new mode will get things moving even bigger. I would love to see gems for sale in the in game store as 5 is very small. Even if you could buy 5 for a thousand coins or such to play it more often. That's a great suggestion, thanks. Although the current system encourages people do delegate SP to get gems more easily, but it's worth looking at your suggestion. The aiming was removed from higher tables like Moscow and Tokyo and still not there. 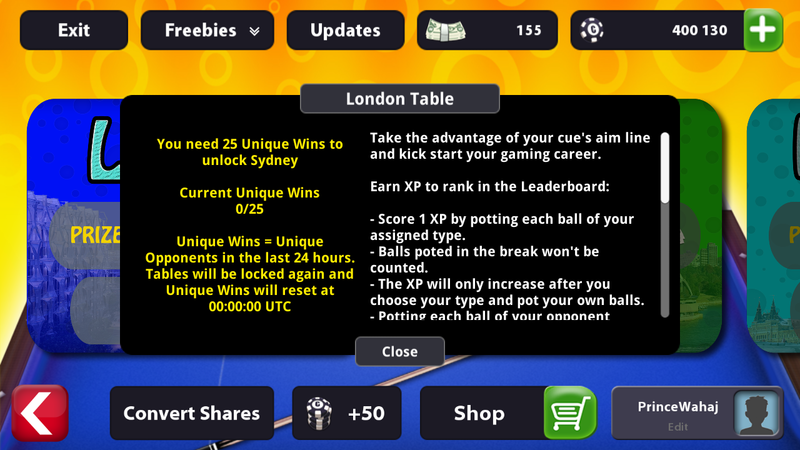 However, now you can find many players in London and Sydney because of the new unlocking system and take advantage of your cue. They'll keep searching for opponents to meet the unique wins requirement. 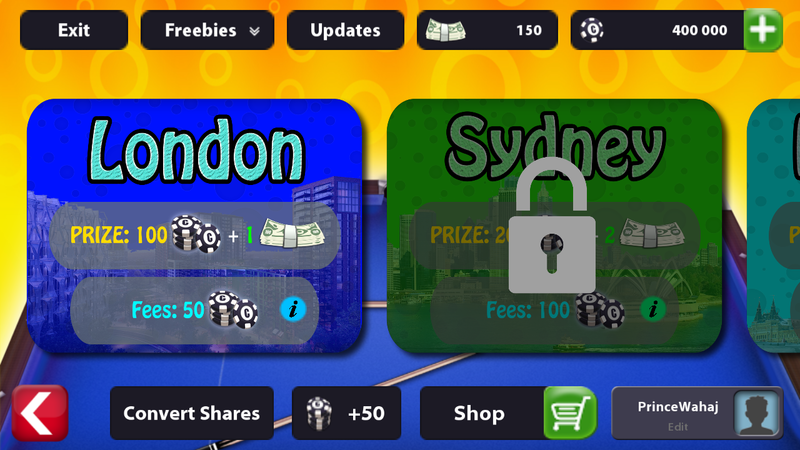 To unlock Sydney, one needs to win against 25 opponents in London and to unlock Moscow, one needs to win against 20 opponents in Sydney. Both tables support the aim-lines. 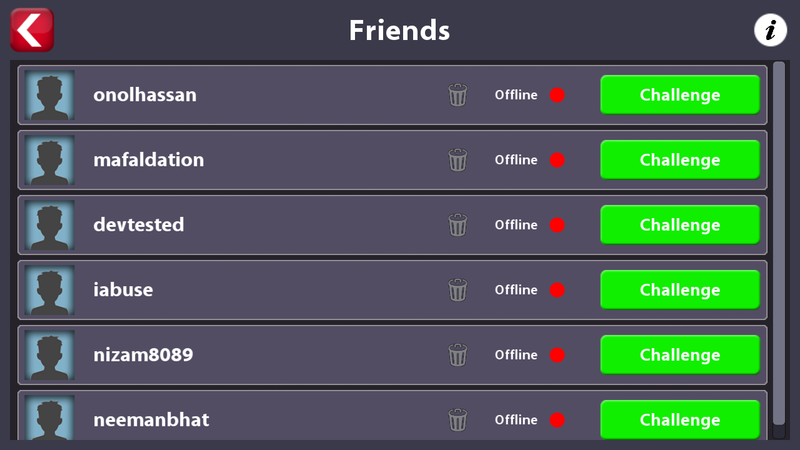 Hopefully, the new mode could turn the tables in terms of activity. Look it's great that you are working on it and bringing in improvements. I think it's a great app and one that should appeal to everybody not involved in crypto already. I hope it can become huge as we grow our user base and I have already included it in my steem directory for other people to join it. might wan to remove this from title "Get Paid To Play For FREE!" Hi, it is because you don't need to invest unlike other games here. 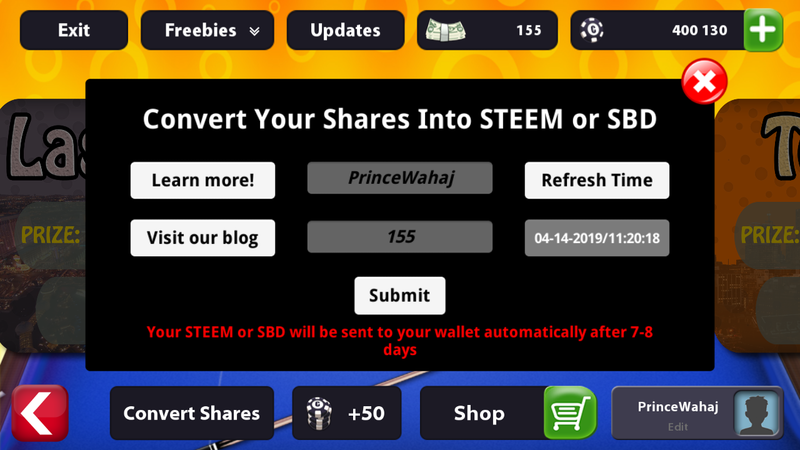 3 STEEM is just a one-time account creation fee to prevent multiple accounts. But anyways, I've removed "For FREE" from title on your suggestion. Thanks! This is an awesome way to show that existing applications can now be applied to the blockchain (and be rewarded). I remember playing pool on sites like Yahoo in the past, so this is a huge step forward! @super8ballclub purchased a 59.58% vote from @promobot on this post. I see this game not so popular. A bit weird. I really want to play this game, please release an IOS version! Is there an IOS Version of the game? No, unfortunately, there's no iOS version as of now. The game account is separate from STEEM blockchain account. Register an account with a new password (min 6 characters, the one that you could remember) and just mention your STEEM account in the registration form. 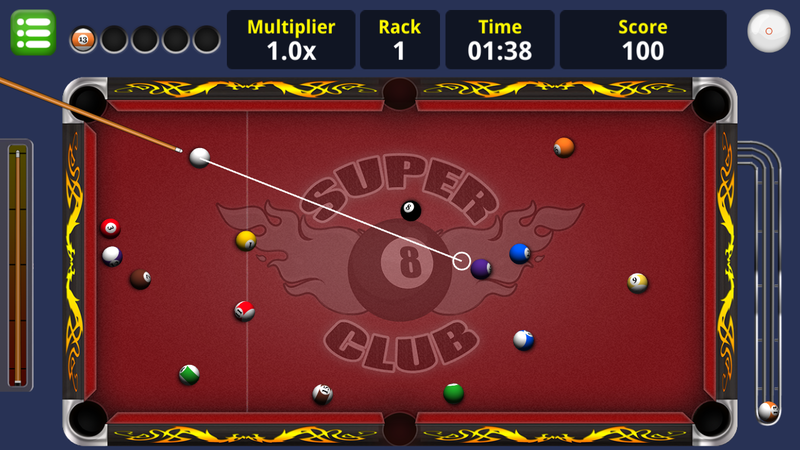 After completion, send 3 STEEM to @super8ballclub with the game tracking name. see so many innovation on this pool game compare the the ones i tried before. friend system, chance to earn crypto, shop. Always good to have new developers creating options for users on steem and possibly attract niche users groups. steem ON ! is there an easy way to login the app without having to type out the long password ....maybe a QR code scanner within app ? Which long password? 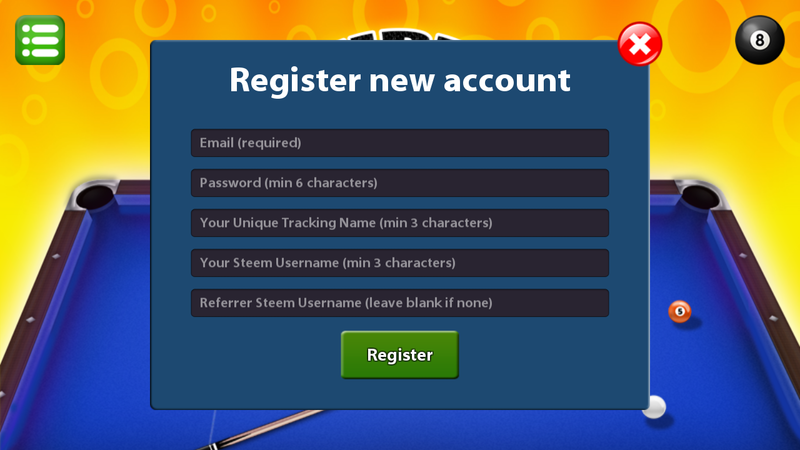 The game account is separate from STEEM blockchain account and you don't need your STEEM keys for login. I've explained the process in the post above. In short, just like you create any other account websites, you download the app, click on Register button and fill the registration form for the "game" account on our server. There, you mention your correct username and write your game tracking name. After successful registration, you'll have to verify your account. For verification, send 3 STEEM to @super8ballclub with the game tracking name in the memo field and you'll be verified in the next 24 hours. Changing the clock? It could be one of the plugins on our site, I'll check that asap. Looks like it's updated on play store but when I open it's not, the site is working now. I will try to uninstall and reinstall to see if it works. So, what’s the potential of earning as a player/gamer? Any significant earnings, or as in most of the cases, only dust money? i have recently started playing in practice mode and am enjoying it. This game has always been my passion. Will get my friends playing too.